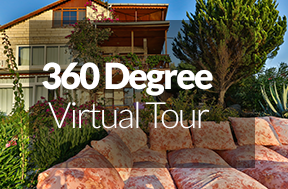 Villa Dundar has been built by and is owned and operated by the Dundar Family who have lived in Kas for many generations and have been involved in the local hospitality industry for over 20 years. As we really value getting to know the guests that stay in our villa and ensure they thoroughly enjoy their holiday, we’d like you to get to know our family. Before we started in the holiday Villa business my father and I worked in a Rose Oil factory where my father was the manager for 20 years. I have a BS degree in Computer Engineering and used my computer skills working in the Rose Oil factory and also in a Marble factory before we decided to establish our new business. When the business had grown to be very successful, my father retired and I left the rose oil factory to work full time in our Thermal Villa business. My mother is retired primary school teacher and my brother, Ergun is studied his BA in Labor Economics and Industrial Relations and also operates charter boat business, www.boattripturkey.com in Kas Harbour during the summer. 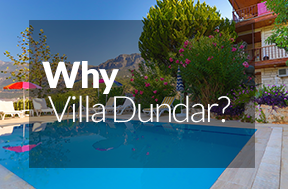 We built our first villa in the hills in Kas in 1994, but we were later drawn to the site of Villa Dundar at Big Pebble Beach with breath taking views of the unspoiled town, the crystal clear sea and Taurus Mountains and built Villa Dundar in 2003. We fell in love with the new position and knew it would be a sound investment and to cover our expenses, we decided to rent out several levels of the villa to holiday makers. Since opening we have welcomed many guests from across the world. My parents live outside Kas and when they come to stay at Villa Dundar the reside in the ground floor and my Mum prepare delicious salads, mezes and various dishes for our guests at the villa and boat trips. Gonul Dundar’s cooking is just another great reason to stay at Villa Dundar! and is a very warm, sociable and hard-working man, who never hesitates to provide service to others and I guarantee his sense of humour will entertain you. 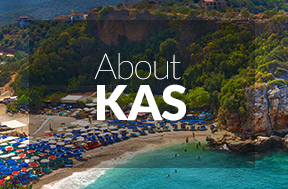 My brother and I are able to communicate in English as well as Turkish so you can ask us anything about Kas, Villa Dundar and boat trips in Kas region and we will be happy to assist you with all the information and our secret places. We always had boats in Kas harbour to enjoy during our summers and while studying at university, my worked in the summer doing tours with our boat and another skipper. Ergun always loved boating so he decided to get his skipper licence and establish his boating business. Now, with his wife Merve, they run a fabulous boat tours business at Kas marina. I am also married in 2011 to my lovely wife Anna and we have a son called Can Dundar who was born in 2012. In 2015 we decided to set up our own Evita Yachting business from the Kas Setur Marina, for skippered sailing yacht charters and day trips in the Kas Kekova area. So I live 6 months of summer in Kas taking care of Villa Dundar and the sailing yacht business and 6 months in Afyon working at our Thermal Villa business. That is a short summer about our Dundar Family. We look forward to meeting you and welcoming you to our home, Villa Dundar, which will become your holiday home and I hope our personal approach will add a special spark to your holiday in Kas.